Back in 1960 I was 2 years old and living in Albuquerque, N.M. I was visited by The Lights. These Lights told me that Earth was one of the most important planets in this universe but that it was on the verge of destroying itself. They told me that Earth was special because of Human Emotion. The Lights said that there were Others who had come as “Scouts” also. They REMINDED me that we had volunteered to incarnate here to help. They said that more and more would be coming and if all went well that by 2012 there would be enough of the New Humans to save the Earth. They would be Ancient Souls: The Children of the New Earth. Both of my parents were part Cherokee so maybe that is why The Lights didn’t seem that strange to me. 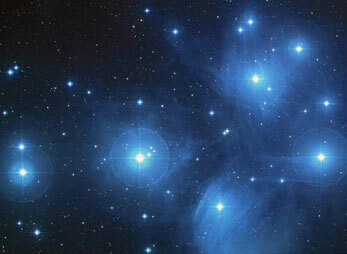 The Cherokee’s believe they are from “Ani’stustã: The Seven Brothers” (Pleiades). we had gotten Nuclear Energy and used it for weapons which was a mistake. They mentioned impending environmental disaster, etc. 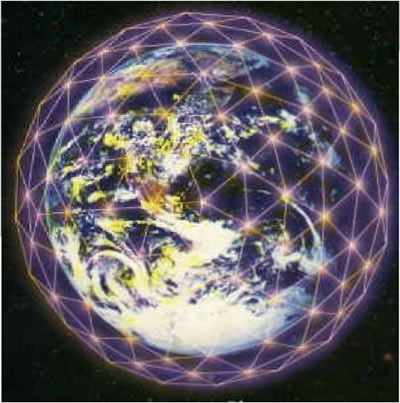 They said we had until December 21, 2012 to complete a “Compassion Grid” to save the Earth. 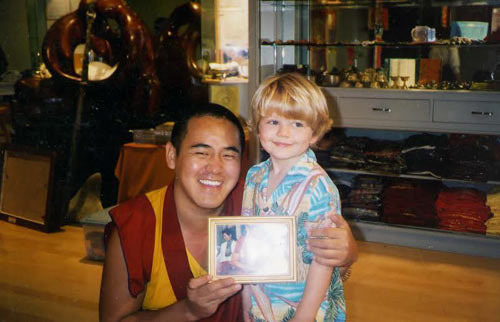 In 2001 many groups of Tibetan monks came looking for my four year old son. 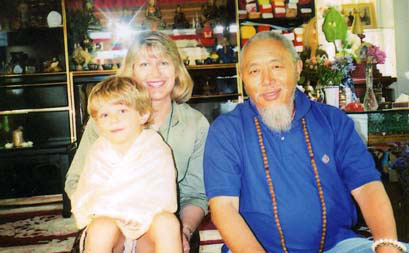 They said that he was a reincarnation of a Tibetan Lama. The Tibetans told me many of the same things that The Lights had told me. In 2002 a representative of the Hopi found us and said that they had a Prophecy that matched the Tibetans Prophecy that began “When the Iron Eagle Flies and the Horses Have Wheels…”. 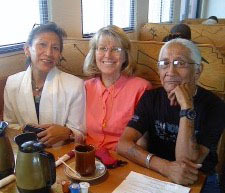 They asked me to come to Hopi where my son and I were adopted into a Hopi family. For the next 10 years we helped to spread the message of HOPE from where those two Prophecies merged. The Time of the Hopi/Tibetan Prophecy has passed. During that time I made lots of amazing Hopi and Tibetan friends (and others!) The Prophecy of The Lights was never JUST about the Hopi Prophecy nor the Tibetan Prophecy. It was about that magic where the two Prophecies merged. It was about the energy of the WISDOM and COMPASSION from these two Ancient cultures. And other Ancients too. Together enough of us arrived and helped us to cross over past the tipping point where THE TIME OF NEVER ENDING PEACE has begun. There are still many years of confusion and chaos ahead as we create the changes that are needed. No matter how scary and dark it looks out there: we are ON OUR WAY! Now we are on to the next chapter of the Prophecy of the Lights! This information is FREE and is never to be used for profit. Hi Friends: Kymberlee Ruff writes about the Prophecy of the Lights on my website. She has lucid dreams and has been told that this year we have special “Angels of 2012.” I have had a couple of experiences recently when driving and I thanked the angels. I am sure they are very close because they are watching over us. They are with all of us. What a blessing!